Nothing new, it is a large pocket of very cold air which typically is hung over the North Pole and keeps the cold air and extremely cold weather confined to the polar regions. Air in the stratosphere, some 100,000 feet above the Arctic, has warmed up. This means that instead of a Vortex this polar air has become a top and spinning out of position. What is the consequence of spinning instead of a Vortex? Cold air is no longer confined to the Poles and it has broken up and it is spinning away. 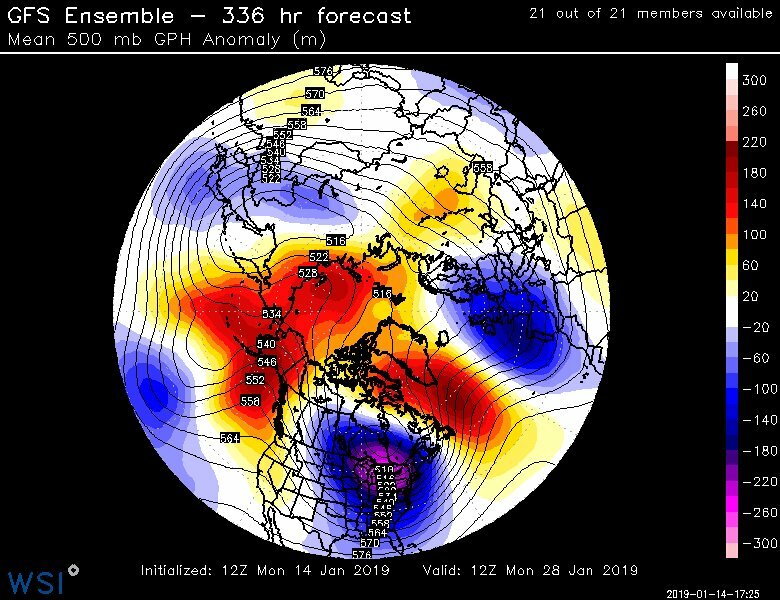 This means that it is actually moving and coming into mainland (non-polar areas). In simpler terms, it means that polar weather (i.e. extreme cold weather) can come into areas of Canada, United States and parts of Europe. I live in Canada/US/Europe so what should I expect? Economical and financial impact on the economies. Which dates do I need to worry about? Keep in mind that these are also computer models based on splitting of the vortex and its impact. Global Forecast System (GFS) which is run and used by United States. European Centre for Medium-Range Weather Forecasts (ECMWF) which is mostly used by European nations. There are some anomalies in their prediction patterns but at this time, they are both matching in their prediction! 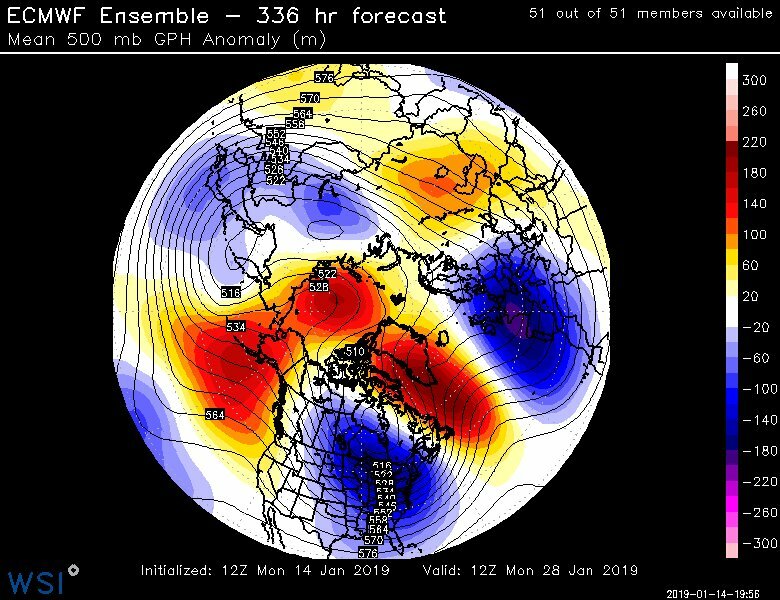 When did the Polar Vortex Split? I live in India/Pakistan, is there an impact? Yes, it is predicted that potentially temperatures will be lower than normal in parts of Northern India. Below is a good indication of movement of cold air in Canada, United States and parts of Europe. When do we start eating each other? I think only xs11ax is looking forward to that. But he'll have to wait till 2020 for the date I put. Agent Smith has time traveled and told me himself. I'm guessing this is highly unusual for Lahore? Sipra? The Met office did not record the hailstorm, but said that it was rare. 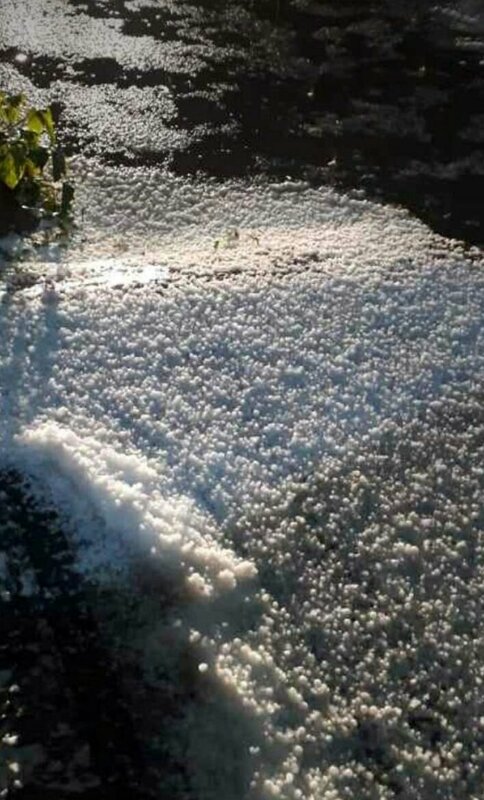 “The plains of Punjab do receive hailstones in this part of winter because of differences in ground and air temperature. But this one was rare,” a meteorologist remarked. 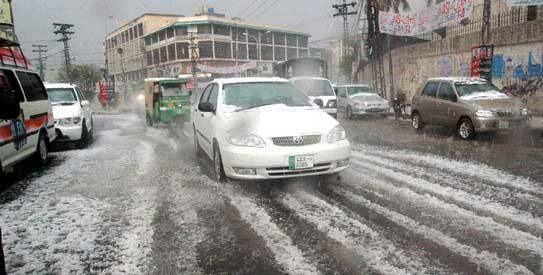 The Met office said rain and hailstorm had been caused by a westerly system affecting the northern areas. Another westerly would bring rain over the plains and snowfall over the hills from Monday, it said. I have no doubt that the earth is going through changes that are unprecedented in modern history at the very least. The current weather climate in the UK is very different compared to what it was when I was a kid. Some put it down to climate change brought on by pollution. So we now have to pay for plastic shopping bags amongst other minor lifestyle changes. These changes are hardly going to make a dent on pollution. If the world governments are serious about reducing pollution then drastic changes will need to be made. Instead of minor lifestyle changes we need to make major mankind style changes. But major changes impact profits so that's not likely to happen very soon. Then there are some who believe that climate and other geophysical changes have nothing to do with pollution, but is just a natural phase that our planet is going through. Some say it's to do with the reversal of the magnetic planetary poles. Some say it's planet x/nibiru. Some say the rotation of the earth is slowing down. Regardless of what is causing it, it has been alluded to in hadith. I think the ulama should address it in light of the hadith. If this current climate and geophysical change carries on unabated then it is going to have a major impact on mankind. Very likely in our lifetime or in the lifetime of our children at the very least. In the future there will be mass migration of people moving from areas/countries that have become inhospitable due to flooding, temperature increase, temperature decrease, droughts, famine, disease etc. Temperatures of 50°c in Australia. 'Beast from the East' winters in the UK.